Dr. Monica Pierce, C.E.O of East Meets West announces three new service levels to fit any budget or Lifestyle. We are international movers who provide shipping, the proper logistics, shipment by air of by sea, world wide. Keep being informed about the status of your household moving in several ways. We provide international transportation services with reputable shipping companies and airlines using up-to-the-minute equipment. Your shipment is carefully monitored to reduce transit time to the minimum. Please contact us to learn about our history and experience. 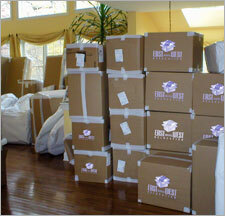 If compromise is not an option, East meets West Relocation is your solution. Kumar Vijay, President of EAST meets WEST RELOCATION -announces and introduce many more discount offer with our multiple moving services. We are going to introduce customized IT solution that can be used for round-the-clock tracking to make each move a planned success.